Intellectual assets have traditionally been defined as trademarks, copyrights, patents, and trade secrets for which a person or organization can claim exclusive ownership. But in today’s business world, that definition has expanded to include virtually any nonmaterial asset—whether “owned” in a strictly legal sense or not—that distinguishes a business and enables it to thrive and prosper. “Cisco Systems”. What are the different types of intellectual property, and how to make the right decision when it comes to commercialization? How can we generate value from our IP? How to commercialize our ideas and protect them from copycats? How to establish an IP strategy that is up to date for today’s global information economy? Things are changing in terms of everyday practice and the way in which people think about and act with respect to innovation and intellectual property management especially when one takes a worldwide view. This is where Innovety comes. 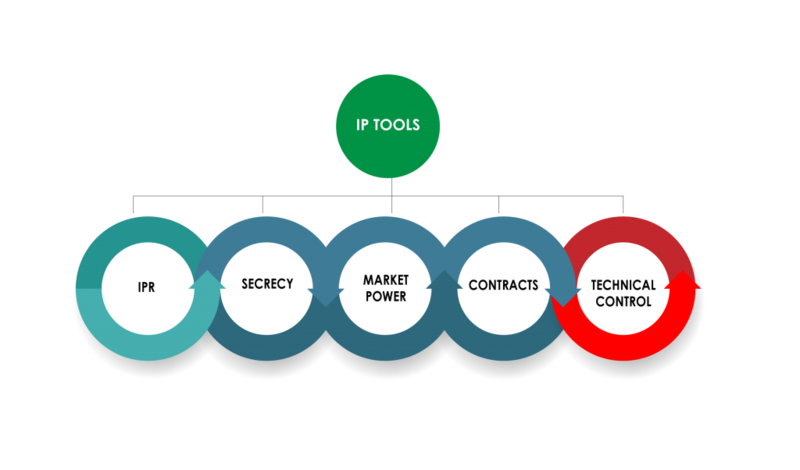 We will help you to no longer look at IP with the traditional ‘sword and shield’ concept, but rather a flexible asset class that can help your organization in a broad range of ways, such as accessing new markets, improving existing products, generating new revenue streams, etc. 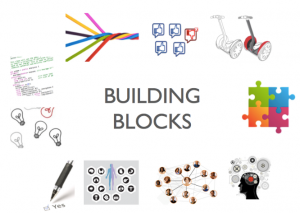 This module will provide an introduction to intellectual assets as the building blocks of any invention and discuss the various tools that can be used to protect those assets. The module will discuss IP from both business and administrative perspectives. Patent information is now indispensable for almost any business organization. This module emphasizes why patent search is important and how it can be the starting point to laying out an IP and commercialization strategy. It will train the attendees on how to use free Patent Office database, to find and analyze patent documents. Assessing the different intellectual assets that the organization own or use in their products and services. This includes but not limited to methodologies, marketing channels, software tools, developed materials, contacts, networking assets, databases, reputation, know-how, trade secrets and other different assets. Conducting a comprehensive due diligence to identify the status and ownership of Intellectual properties and make sure you are not infringing any IP of others, using different tools such as the patent information services and market research. This is where we highlight intellectual assets that need to be developed and the tools that shall be used to create value inside the organization. These tools can be Intellectual Property Rights that need to be registered, policies and procedures to codify knowledge in order to protect their secrecy, a strategy to capitalize on being the first mover to the market, contractual agreements to protect the organization’s soft IP, or technological solutions that enforce protection and facilitate the tracking of beneficiaries. Based on the IP strategy, we will recommend the IP-based revenue models that can be adopted by the SMEs, the different ways of packaging their intellectual assets to capture the maximum value, and the different licensing structures and agreements that suit their businesses. A public library wanted to commercialize its assets, turning its intellectual property into a source of income. Innovety helped the government select and implement a commercialization model for the library archival material. We started by identifying the different library’s assets. The library owned a wide range of books, newsletter clippings, and archives. We then listed all the business opportunities for those assets and recommended the library to digitize its archival material. Finally, we proposed three commercialization model to the government: either to sell those digital versions, license them to another library for a certain time period or make the material open source. Interested in our Intellectual Property & Technology Commercilization services?